We all want a high self-worth. I mean, who doesn’t right? High self-esteem is being able to appreciate ourselves for who we are. With high self-esteem comes a simpler, happier and fulfilled life. We all want that, don’t we? Are you feeling a bit down lately? Don’t worry, my friend, you’re not alone! But hey, let’s not let that feeling dominate our being, alright? 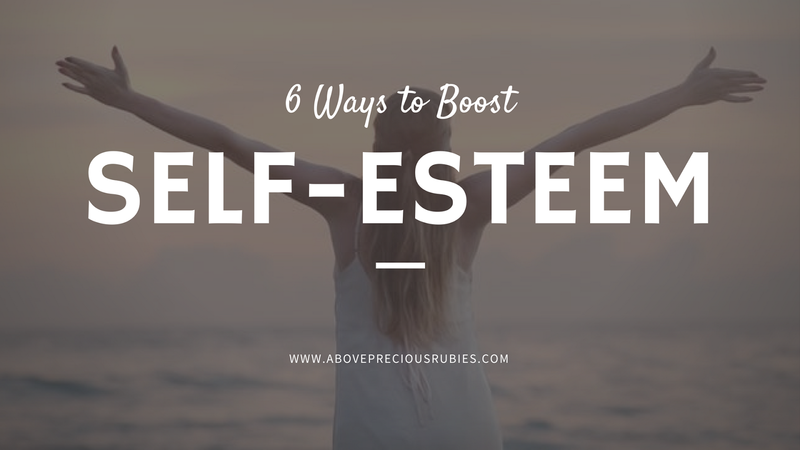 Try these to help boost your self-esteem. If you don’t trust yourself, who would? Low self-esteem happens when we question our capacity. Teach yourself to never doubt your potential. Yes, you have potential! Believe that! All you have to do is figure out what it is and start improving that skill. 4. No, no to comparing! Plain and simple: if we do the things that we are passionate about, we are joyful and motivated. Stay away from toxic people. They will not help you grow. Surround yourself with supportive friends – those who understand you and are willing help you be a better version of yourself. These girlfriends are guaranteed to promote a positive outlook on life! Boosting self-esteem doesn’t happen overnight, that’s just impossible! It requires patience and tons of trial and errors. Are you ready to take on the challenge? If yes, then great! You are already off to a good. Follow these tips and you’ll be on your way to achieving a higher self-value! All of your tips are true. Especially the no to comparing. Hindi naman talaga maiwasan maicompare natin sarili natin sa iba. People kasi tend to look for something we don't have but we see on the people's hands. We forgot that what we have is what just perfect for us. We must learn to accept our selves because we are unique. Parang magandang topic to for pong pong pong a. But seriously, I agree with all the tips above. Self worth can move us to places and can help us do things we never thought we could. As the quote says, "Comparison is a thief of joy". Comparing can ruin your happiness so I agree, it is a big NO. We should accept the fact that not all people are the same, we have our own talent, skills and gifts na wala ang iba so love yourself. A lot of people have low self-esteem. Can I just add another? I think loving yourself more is a good thing too. You have to appreciate what you have and love yourself because of it. I completely agree more with you on that, sis! Hahaha! I love her! lol. I love that quote! I should always remind myself of that! Ah, that's a good too! I should've added that. Great tips! Personally, my greatest challenge with this was #4. I grew up in an environment where I was always compared to others so for some time I struggled with this. I'm a lot better now when it comes to comparing myself with others – I just don't anymore. 🙂 I've come to love myself and my life and I know I'm blessed with a lot.